SPACE FOR A STORE TAGLINE OR USP “FREE SHIPPING” ETC. And while our top-rated Natural Testosterone Booster for Men is the simple, safe way to put a little more tiger in your tank, there are a number of common foods that can help as well. By making a few T-conscious food choices you can help your body help itself. Sound good? Well, start including more of these foods in your regular diet and you’ll be 1 step closer to feeling like your old, young self again! Carbohydrates provide the energy that is necessary to produce testosterone. Carbs are generally found in grains but these are not an ideal source due to the gluten problem which increases prolactin in the body, negatively impacting the production of testosterone. According to one oft cited study, decreased levels of testosterone may also be associated with the consumption of simple sugars which are the most common source of carbs. 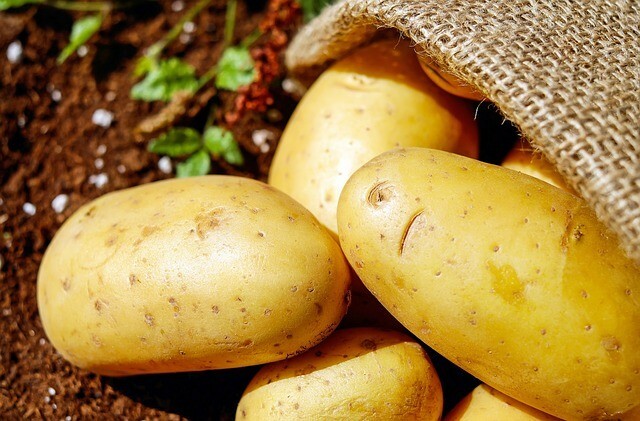 But these two common sources of carbohydrates are not the only ways to give the body the energy it needs to produce T.
Potatoes are an ideal source of carbohydrates to boost testosterone. There are a wide variety of potatoes to choose from - sweet potatoes, red potatoes, white potatoes, purple potatoes, russets, etc. Potatoes are the ideal alternative to grains and simple sugars and should be your main source of carbs on a testosterone boosting diet. These vegetables are packed full of nutrients and you should always have them stocked up in the pantry. Even potato chips that haven't been fried in polyunsaturated fats are a great source of carbs. Dietary or healthy fat increases testosterone and nuts generally contain high amounts of these fats. However, not all nuts are created equal and therefore don't have the same T boosting properties. SFA's (saturated fatty acids) and MUFA's are the types of fats that promote T production whereas PUFA's (polyunsaturated fats) have been linked to lowertestosterone levels. Unfortunately, most nuts contain high levels of PUFA and little beneficial SFA or MUFA. 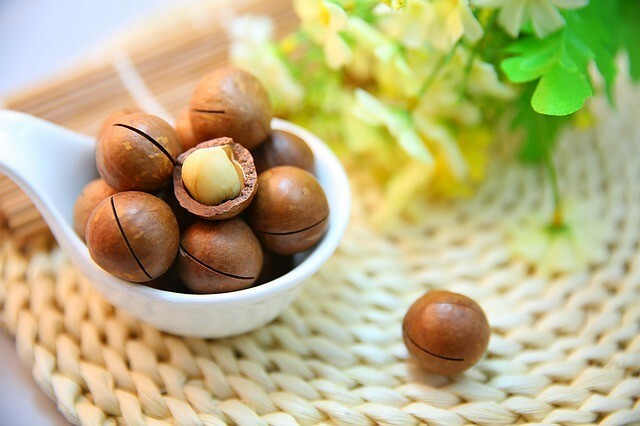 The exception to the rule is the Macadamia nut which contain a staggering ~75 grams of dietary fats per 100g of which only 2g are PUFA's and MUFA's and SFA's make up 60% and 13% respectively. It is recommended to eat the nuts raw to get the greatest benefit from this perfect testosterone booster. That's right! Your favorite hot (or iced) beverage can help boost your testosterone. Caffeine, a substance contained in coffee, acts as a nervous system stimulant which not only invigorates you but also increases cAMP levels which results in enhanced production of testosterone. While it is true that caffeine can also increase cortisol, it does so for a short period of time and therefore has little effect in reducing testosterone production in the long run. Cortisol is a hormone that is released in the body when it is under stress and has been scientifically linked to reduced testosterone levels. 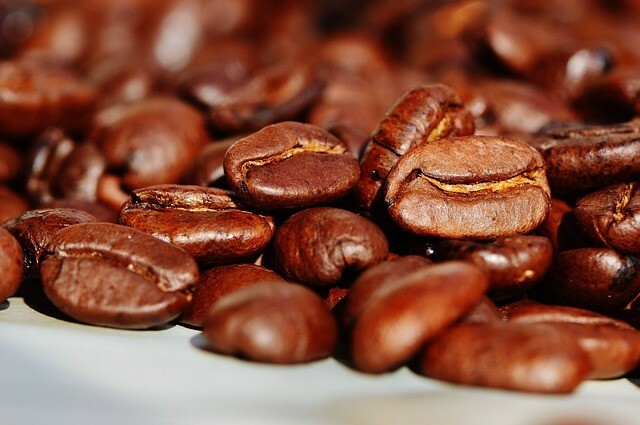 As a bonus, coffee is a powerful antioxidant which has multiple benefits for the body including testosterone levels. However, moderation is key and it is best not to drink coffee in excess. Historically, connective tissue was generously consumed along with the meat and organs of animals providing a healthy consumption of amino acids. Modern society does away with this important and other nutrient rich portions, preferring the meat that is made from the muscle of the animal. This results in too little essential glycine and proline amino acids and far too much tryptophan and cysteine in our diets. Eating broth that is made from the connective tissue and organs of an animal can rectify this. However, this is not to everyone's taste and there is a much simpler and tastier alternative. 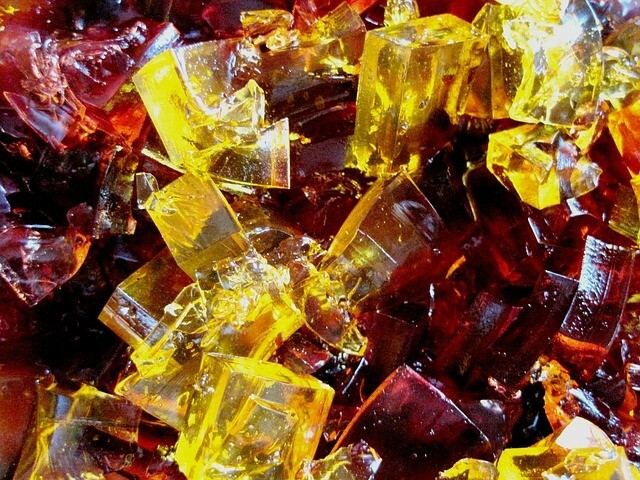 Gelatin is made from the connective tissue and is a great source of this type of protein providing 15% proline and 27% glycine amino acids. The product has no flavor and can be added to any food or beverage. But how exactly does it promote testosterone production? Apart from getting the necessary amino acids to boost production, it can also affect sleep patterns positively which is important to improving testosterone levels as well as overall quality of life. When it comes to boosting testosterone production, palm kernel oil tops the list for optimal oils. This is because it contains around 80% saturated fat which is what is needed to produce testosterone. It also contains little PUFA or polyunsaturated fat which is not only unhealthy in general but decreases T production. PUFA can result in lipid peroxidation which has been linked to the suppression of androgenic hormones. 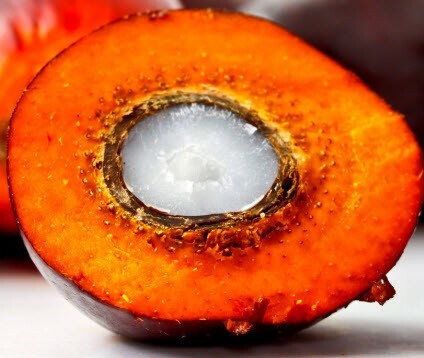 Palm kernel oil also contains other important nutrients such as Vitamin E which can aid in testosterone production as well as acts as an antioxidant to eliminate free radicals that causes oxidative stress and is often the result of a diet high in PUFA. 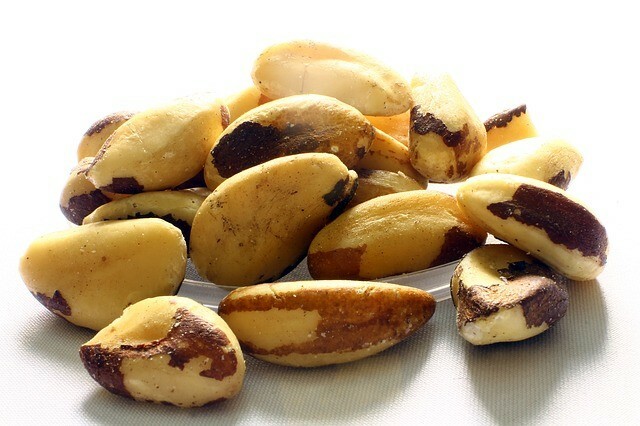 Strictly speaking, Brazil nuts are not actually nuts but seeds as they are contained in a thick, cone-like structure. Although their ratio of good fats is not as impressive as Macadamia nuts with 15g of SFA, 25g of MUFA and 19g of PUFA, their true testosterone boosting power lies elsewhere. Brazil nuts have an incredibly high concentration of selenium - 1917mcg which is an impressive 2739% of your recommended daily intake. Selenium stimulates glutathione which is important to optimal testosterone production. Just a handful of these tasty nuts every day can stimulate testosterone production. Keep in mind that the nuts are best eaten raw (unroasted) with the skin intact as this is where the greatest concentration of selenium is found. So buy your Brazil nuts shelled, but not peeled. Extra virgin olive oil may as well be renamed "ultimate testosterone booster". 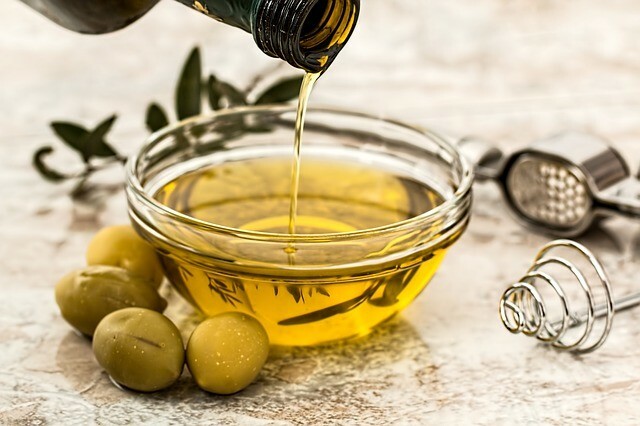 A study involving Moroccan men who switched to extra virgin olive oil as their primary source of fat showed an increase of 17% in testosterone levels in just 2 weeks. Apart from the fact that this oil has impressive fat ratios (14% SFA, 73% MUFA and 13% PUFA), it also acts as an anti-inflammatory and is packed full of antioxidants. Extra virgin olive oil also contains oleuropein glycoside which may have testosterone boosting powers. It is essential to ensure that your olive oil is truly extra virgin and preferably organic from a trusted supplier. Cheap varieties may be processed, heated or been mixed with other unhealthy (PUFA) oils. 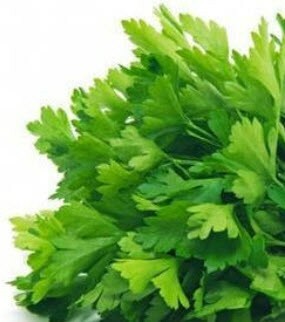 Parsley is a greatly underestimated little herb but contains apigenin. A Texas tech researcher found that apigenin stimulates steroidogenic acute regulatory protein or StAR in the Leydig cells in the testicles. More free testosterone is essential to overall greater levels of testosterone in the body. You should be adding parsley to flavor all your meals but remember that for the greatest benefit, eat the herb fresh and uncooked. 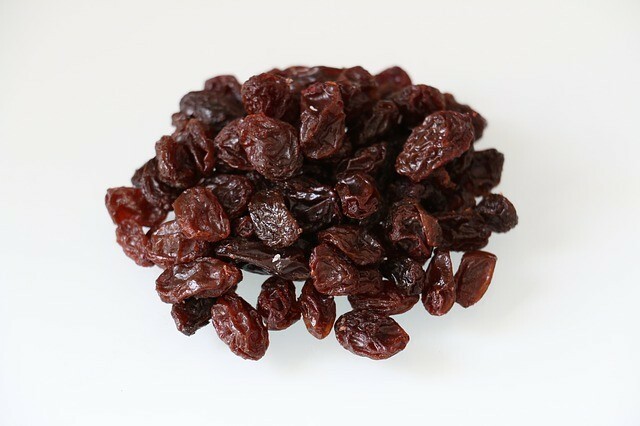 Raisins have multiple benefits that are related to boosting testosterone. First and foremost, they have both anti-inflammatory and antioxidant properties. Resveratrol has been associated with increased T production as well as decreased estrogen levels. Next, you can get 3mg of Boron from just 100g of raisins which can increase testosterone but is not the most popular mineral to consume in other ways. Make your own snack mix consisting of raisins, Brazil nuts and macadamias for the perfect testosterone boosting gnosh. Ginger is used to season many different types of dishes but has advantage way beyond flavor. The active ingredient in this root is called gingerol and has powerful anti-inflammatory properties. That’s why it is included in our Turmeric Curcumin Fusion. Animal studies have found that ginger is also an androgenic compound. A study on Iraqi men showed increased testosterone levels of 17% after supplementing with ginger. 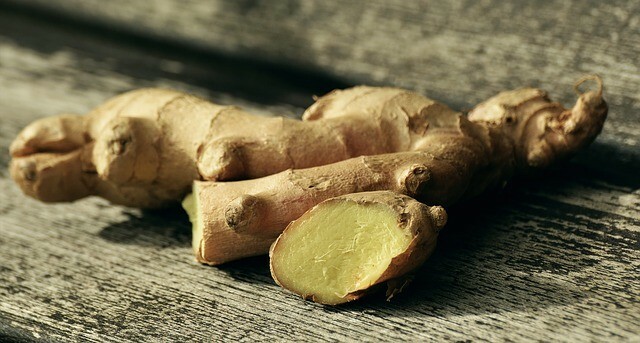 Not only is ginger great for flavoring your food but will provide you with an inexpensive androgenic anti-inflammatory. I am genuinely surpised and excited about the results, and I've only been taking it a few days. I am going to write a review, but I don't want to put a bunch of personal things in there. What I can tell you is that I haven't had this much natural energy in 10 years. The first night, I only got two hours of sleep. But I wasn't wiped out the next day. I've been really strugling with a lot of persistant health issues the from chronic sinus infections, bleeding ulcers, chronic pain, migraine headaches, extreme fatigue, mood swings, anxiety, and more. These suppluments are definitely positively affecting my physical and mental states -- within an hour I can feel the effects. I don't even feel as hungry. What is in this stuff? And why didn't I find it sooner? I've tried a ton of remedies and doctors' suggestions, including meds...Nothing has worked even 20% as well for correcting fatigue, mood, and low energy -- not even excercise or "more water." This is not a placebo affect. Wow, just WOW! I hope this lasts. I've NEVER gotten results like this from ANY suppliment, and I've tried at least 20. 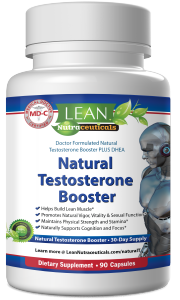 Try our MD Certified all Natural Testosterone Booster today and SAVE 10%. New to LEAN? Don't worry! All purchases are covered by our 100% Money Back Satisfaction Guarantee. 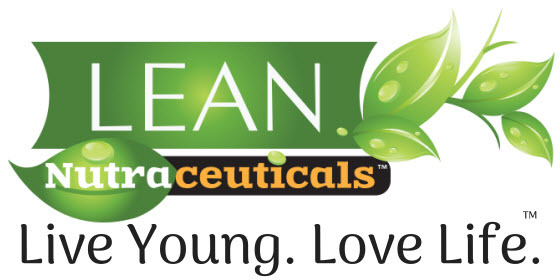 Try any of our products for 30 days and if you are not 100% satisfied, just email us and will process a full refund. No worries. No Hassles!